The Trigger Point Quadballer allows you to roll through the quads, IT bands, lower back, hamstrings and neck in a safe and effective manner. 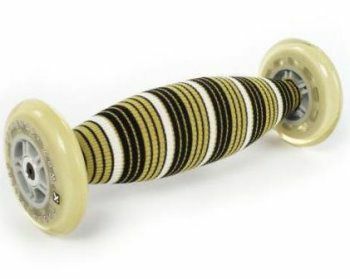 The Quadballer provides more targeted pressure compared to a normal foam roller with its unique design. The Quadballer has dense composition for more targeted myofascial release, durable polyurethane wheels for extra durability and is perfect for targeting smaller, specific muscle groups with targeted pressure.